Blue Note Records is an American jazz record label, owned by Universal Music Group and currently operated in conjunction with Decca Records. Established in 1939 by Alfred Lion and Max Margulis, it derives its name from the characteristic “blue notes” of jazz and the blues. Originally dedicated to recording traditional jazz and small group swing, from 1947 the label began to switch its attention to modern jazz. While the original company did not itself record many of the pioneers of bebop, significant exceptions are Thelonious Monk, Fats Navarro and Bud Powell. 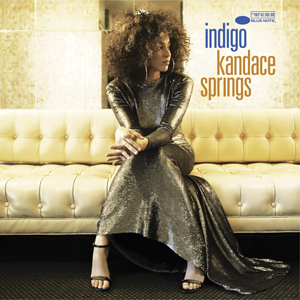 Singer & pianist Kandace Springs returns with the Sept. 7 release of Indigo, a set of originals & choice covers produced by Karriem Riggins that showcases the full breadth of Kandace’s artistry from smoldering R&B to gorgeous jazz ballads to the pop songcraft of the album’s lead single Don’t Need The Real Thing. Indigo is available to pre-order now on vinyl, CD or download. Kandace will kick off a headline tour Sept. 28 in the U.S. followed by shows across Europe & Asia. Visit http://www.kandacesprings.com for a list of her upcoming concerts and ticket info. Charles Lloyd & The Marvels + Lucinda Williams Vanished Gardens is a fascinating collaboration between the NEA Jazz Master saxophonist & acclaimed GRAMMY-winning singer-songwriter that bridges different musical worlds from Jazz & Blues to Americana, Country & Rock creating a thrilling and uplifting new sound that Rolling Stone says “shows how the many currents of American music all flow into a single stream.” Watch an interview with Charles & Lucinda HERE , and catch them on tour including appearances at Newport Jazz Festival, Monterey Jazz Festival, and Jazz at Lincoln Center. Norah Jones has been back in the studio following her muse down creative pathways without any expectations or boundaries. Her new song It Was You is an organ-and-horn-drenched soul number that is the 2nd in a series of singles following the riveting My Heart Is Full.”Norah also released the DVD/Blu-ray concert film Live at Ronnie Scott’s , which features an intimate trio performance with Brian Blade & Christopher Thomas at the famed London jazz club. 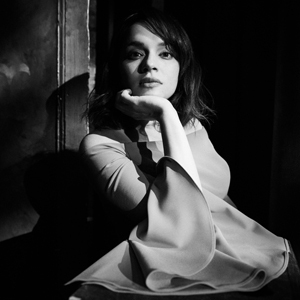 Norah will play a run of shows in California this Fall including her debut appearance at the Monterey Jazz Festival. Visit http://www.norahjones.com for ticket info. 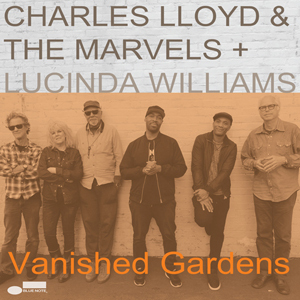 On June 29, Charles Lloyd & The Marvels + Lucinda Williams will release Vanished Gardens, a new album that presents the fascinating collaboration between NEA Jazz Master saxophonist Charles Lloyd and acclaimed singer-songwriter Lucinda Williams. Together they weave several threads of American music (Jazz, Blues, Americana, Country & Rock) into an uplifting new musical hybrid. The Marvels are Bill Frisell on guitar, Greg Leisz on pedal steel guitar, Reuben Rogers on bass, and Eric Harland on drums. 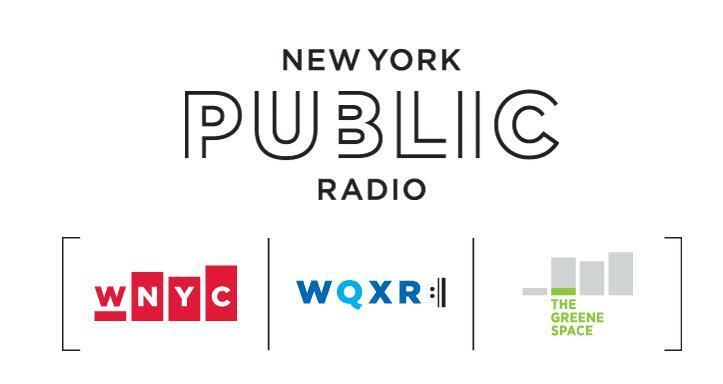 Preview the album now as part of the NPR Music First Listen series. 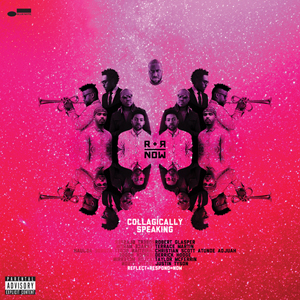 The collective band R+R=NOW featuring Robert Glasper on keyboards, Terrace Martin on synth/vocoder, Christian Scott aTunde Adjuah on trumpet, Derrick Hodge on bass, Taylor McFerrin on synth/beatbox, and Justin Tyson on drums has released their debut album Collagically Speaking, which Rolling Stone called “a no-seams-showing blend of jazz, R&B and hip-hop, with a spontaneous ‘3 a.m. in the studio’ feel.” The band launches an extensive European tour this week followed by a performance at the Newport Jazz Festival and a tour of Japan later this summer. 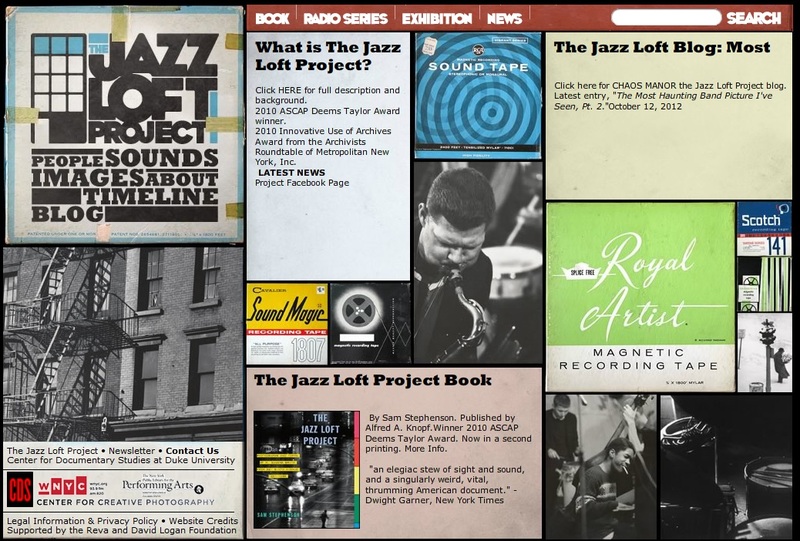 The Blue Note Monthly is our monthly mix of favorite tracks from the Blue Note vaults. 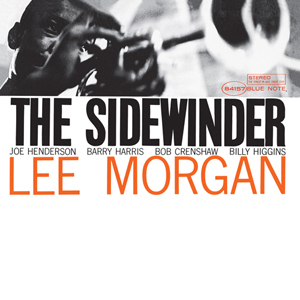 Explore deep cuts by underrated artists like Duke Pearson & Fred Jackson, new releases from current artists including Kenny Barron & Terence Blanchard, and classics like trumpet legend Lee Morgan’s Totem Pole from his magnificent album The Sidewinder. Follow the playlist on Apple Music or Spotify to keep on discovering The Finest In Jazz Since 1939! Much much more. 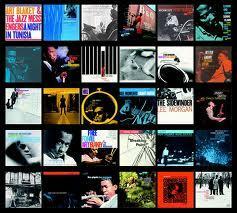 Visit Blue Note for the finest in Jazz releases. From soul-jazz cuts to risk-taking avant-garde explorations, ‘Empyrean Isles’ revealed that Herbie Hancock was a musical chameleon and a jazz icon in the making. 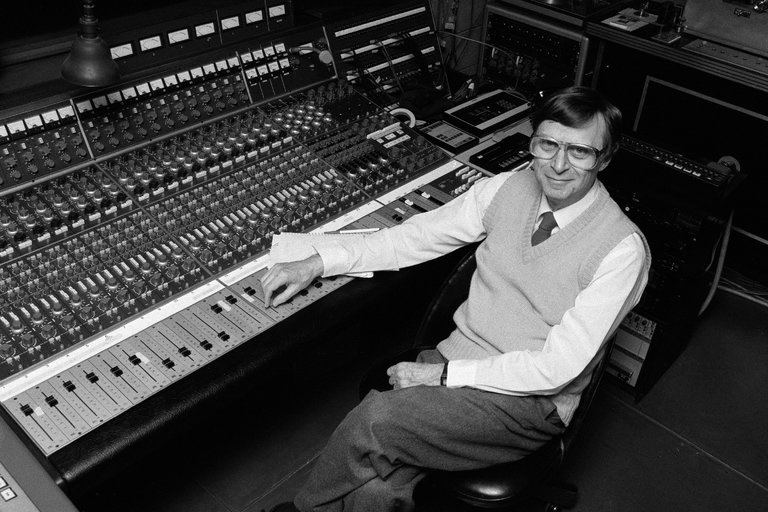 On Wednesday, 17 June 1964, pianist Herbie Hancock went into Van Gelder Studio, in New Jersey, to record what became Empyrean Isles, his fourth album for Blue Note Records. 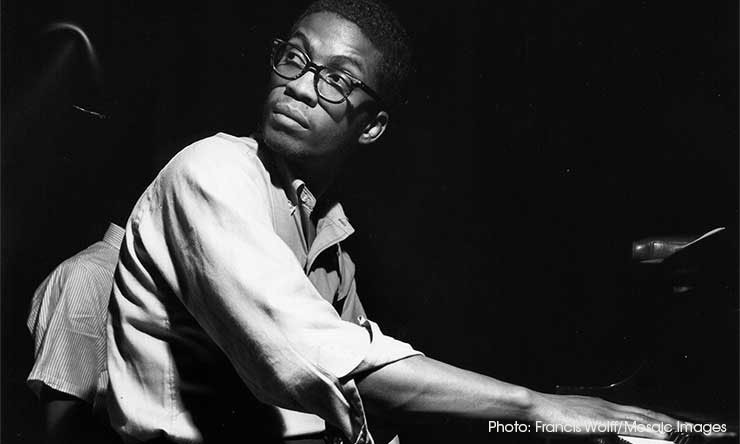 By then, at the age of 24, the bespectacled, classically-trained Chicagoan was already a rising star in the jazz world. As well as being an integral member of Miles Davis’ groundbreaking quintet since 1963, his solo career was in the ascendant, propelled by Watermelon Man, the lead track from his 1962 debut album, Takin’ Off, which had been popularised thanks to a hit version by Latin percussionist Mongo Santamaria. Given the simpatico he felt with fellow Miles Davis band members, bassist Ron Carter and drummer Tony Williams, it was no surprise, perhaps, that Hancock elected to exploit their unique skills on Empyrean Isles, a concept album based on a mythical place, that consisted of four self-penned tracks expressing different facets of Hancock’s musical psyche. Many jazz albums of the time used a two-horn front line, usually consisting of saxophone and trumpet, but on Empyrean Isles, Hancock, going against the grain – the pianist’s career-defining characteristic – used only a single horn: Freddie Hubbard on cornet. 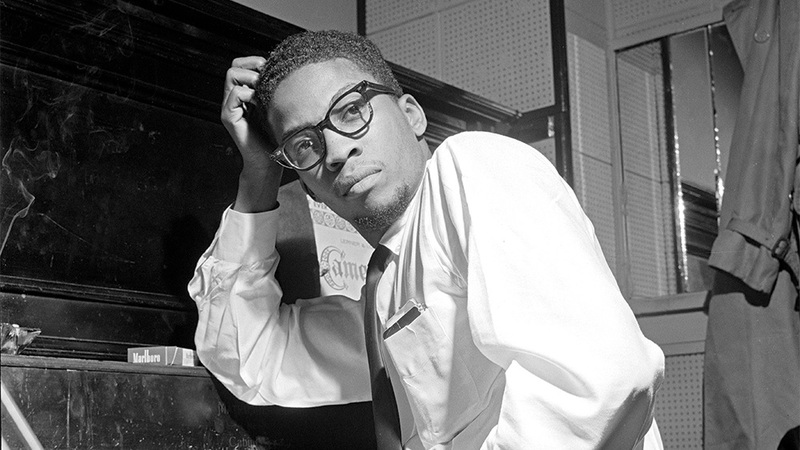 Hubbard, another young lion signed to Blue Note, was no stranger to Hancock’s music and had graced Takin’ Off with his virtuosic playing. But the concept behind Empyrean Isles was more advanced and exploratory than Hancock’s debut, and allowed its protagonists greater space, flexibility and freedom in regard to improvisation. Structurally, Empyrean Isles’ opener, One Finger Snap, which begins with a fleeting unison theme on cornet and piano, before Hubbard breaks off for a solo, demonstrates Hancock’s propensity to take risks – something that he had learned from working with Miles Davis, who instilled in him the notion that there were no wrong notes or mistakes. Williams and Carter initiate a lightly swinging groove, over which Hubbard lets rip with molten cornet lines while Hancock supports him with subtle staccato punctuation. He picks up the baton from Hubbard, demonstrating his total mastery of the piano with a solo comprising fleet-fingered right-hand melodies. Hubbard returns a burning passage of improv before allowing the spotlight to fall on young Tony Williams, then just 18, who serves up a swirling hurricane of drums and cymbals. After that, the horn and piano return momentarily to state a brief closing motif. Ron Carter’s elastic bassline propels the midtempo ‘Oliloqui Valley’, on which Hubbard’s cornet enunciates a short theme prior to a long solo from Hancock over a blithely swinging rhythmic undertow. Hubbard’s solo is incandescent, though the piece loses momentum to allow Ron Carter room for a spacious bass solo which not only underlines his dexterity but also his judicious use of dynamics and nuanced sense of feel. Cantaloupe Island is one of Hancock’s most famous tunes, a jaunty soul-jazz groove with a relaxed vibe that is a companion piece to Watermelon Man – only catchier and even funkier, and on which Freddie Hubbard again excels as a soloist. With its blues-infused melody and danceable vamp, it’s undoubtedly the most down-to-earth cut on Empyrean Isles, showing that the pianist could write credible commercial material as well as more abstract, exploratory pieces. Hancock revisited the song, in 1973, on his Head Hunters album, transforming it into an exotic slice of jazz-funk. 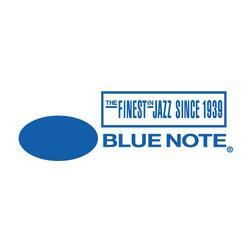 The original Blue Note version – which the label also released as a single – was sampled by British hip-hop group Us3, in 1993, for their US Blue Note hit Cantaloop (Flip Fantasia). 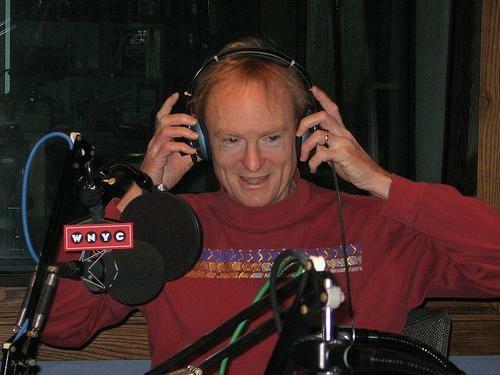 The most radical cut on Empyrean Isles is its finale, The Egg, a desultory, avant-garde-style piece initially driven by Hancock’s repeated ostinato piano figure. Essentially, it’s an open-ended vehicle for improv but has a more abstract section in the middle, where the track’s rhythmic impetus dissolves and Ron Carter plays a bass solo with a bow. Hancock then plays a passage of unaccompanied piano, before Carter and Williams reinstate the groove. 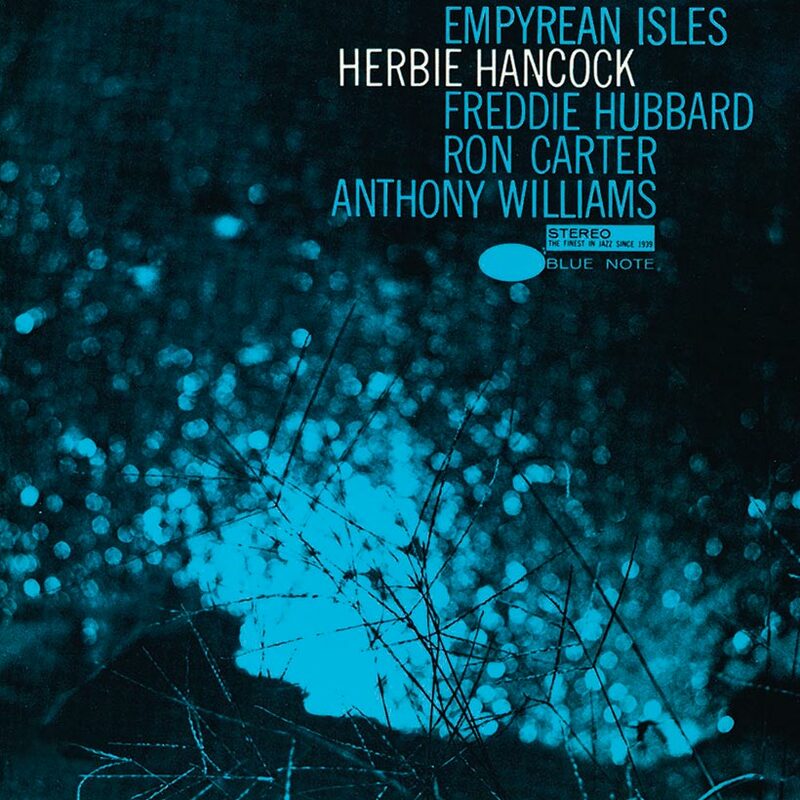 With its blend of advanced bebop and modal jazz with funk and free improv – all convincingly rendered – Empyrean Isles offered ample evidence that Herbie Hancock was a jazz master in the making. Revealing himself as a musical chameleon, Hancock would go on to record a welter of albums in an array of styles in the succeeding five decades, but this astounding album, recorded 54 years ago, remains one of the early high points in his long and illustrious career. Terence Blanchard has been a consistent artistic force for making powerful musical statements on painful American tragedies. With The E-Collective he addresses the epidemic of gun violence in America with his new album Live, 7 powerful songs culled from concerts performed in communities that have experienced escalating conflicts between law enforcement and African American citizens, reflecting bitter frustration while also providing a balm of emotional healing. With a title that carries a pointed double meaning, the album is an impassioned continuation of their GRAMMY-nominated studio recording Breathless. Robert Glasper joins forces with the innovative producer KAYTRANADA on Robert Glasper x KAYTRANADA:The ArtScience Remixes, reimagining the songs on Robert Glasper Experiment’s 2016 album ArtScience, which The FADER called “a freewheeling, genre-agnostic collection of feel-good songs.” The ArtScience Remixes is available now to stream or download, and will be released as a Record Store Day vinyl exclusive on April 21. The set features cameos by Don Cheadle, Talib Kweli, Alex Isley, and Iman Omari, and takes the Experiment’s trailblazing blend of R&B, Hip-Hip, and Jazz into new sonic realms. As singer & pianist Kandace Springs heads out on tour opening for music icons Daryl Hall & John Oates across North America this summer, she also gives fans a taste of her forthcoming album with the 3-song EP Black Orchid, featuring brand new tracks produced by Karriem Riggins. Springs delivers a pair of inspired covers with her simmering take on The Stylistics’ People Make the World Go Round and a radiant performance of the Roberta Flack-popularized torch song The First Time Ever I Saw Your Face, along with the ruminative “Black Orchid” by guitarist-songwriter Jesse Harris. In 2018, esteemed pianist Kenny Barron will celebrate his 75th birthday and mark the 50th year of a remarkable recording career. The year will also be punctuated with yet another milestone with the May 4 release of his Blue Note debut Concentric Circles. The sublime 11-song set features new originals plus interpretations of songs by Caetano Veloso and Thelonious Monk, and introduces a new edition of the Kenny Barron Quintet with saxophonist Dayna Stephens, trumpeter Mike Rodriguez, bassist Kiyoshi Kitagawa , and drummer Johnathan Blake. 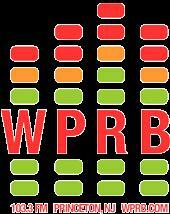 Hear the lead track Blue Waters” on our Jazz Now! playlist. Detroit saxophonist Dave McMurray makes his Blue Note Records debut with the May 18 release of Music Is Life, a set of originals and well-chosen rock and R&B staples that boasts an open, rugged sensibility and showcases his burly tone and swaggering lyricism. Over his career McMurray has cemented a reputation for versatility by playing with a vast array of musicians including B.B. King, The Rolling Stones, Bob Dylan, Iggy Pop, Patti Smith, Bonnie Raitt, Johnny Hallyday, Gladys Knight, Nancy Wilson, KEM, Bootsy Collins, Herbie Hancock, Geri Allen, and Was (Not Was). Hear Naked Walk on our Jazz Now! playlist. 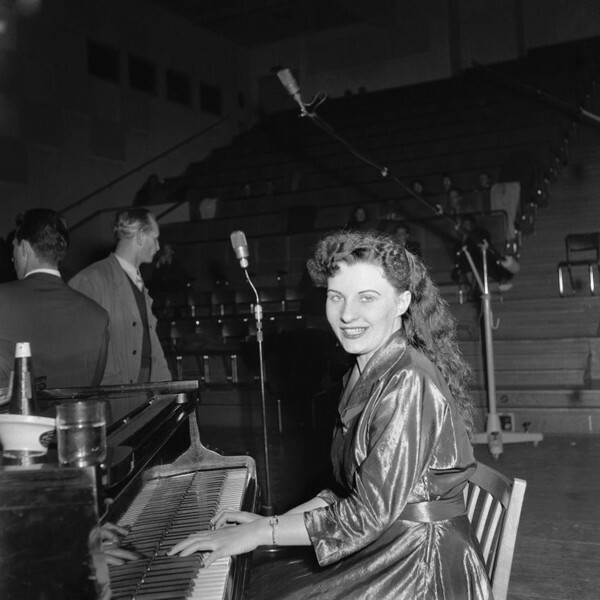 “Jutta Hipp with Zoot Sims,” a great collaboration between the German pianist & American saxophonist that’s a hidden gem in the Blue Note catalog. 50 years ago today master drummer Elvin Jones recorded his Blue Note leader debut Puttin’ It Together at Rudy Van Gelder Studio with saxophonist Joe Farrell & bassist Jimmy Garrison. Link to article was unavailable . 60 years ago on March 9, 1958, the great alto saxophonist Cannonball Adderley recorded his timeless classic Somethin’ Else featuring trumpeter Miles Davis in a rare sideman role, as well as pianist Hank Jones, bassist Sam Jones, and drummer Art Blakey. 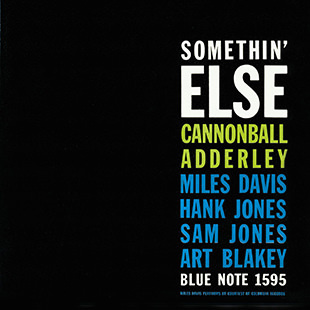 Produced by Alfred Lion, recorded by Rudy Van Gelder, and given an iconic cover design by Reid Miles, it was the sole album that Cannonball made as a leader for Blue Note and it stands as one of the pinnacles our catalog, a perfect representation of the Blue Note aesthetic. Get it on vinyl or CD, download it or stream it now. 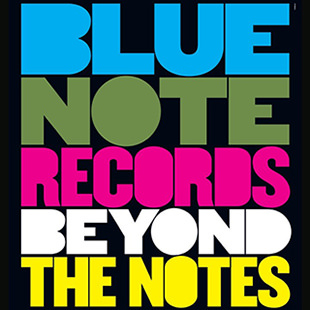 Blue Note Records: Beyond the Notes, a new documentary directed and written by Sophie Huber, will be premiering at the Tribeca Film Festival in New York City in April. The film presents the enthralling musical story of the greatest label in jazz history from our founding by Alfred Lion in 1939 to the vibrant present day. Featured interviews in the documentary include Herbie Hancock, Wayne Shorter, Lou Donaldson, Robert Glasper, Norah Jones, Don Was, Michael Cuscuna, and more. Watch the trailer. 50 years ago on March 6 & 9, 1968, the legendary pianist Herbie Hancock was in Van Gelder Studio recording his seminal album Speak Like a Child, which found Herbie painting with a new musical palette by adorning his trio featuring bassist Ron Carter & drummer Mickey Roker with imaginative arrangements using Thad Jones’ flugelhorn, Peter Phillips’ bass trombone & Jerry Dodgion’s alto flute. 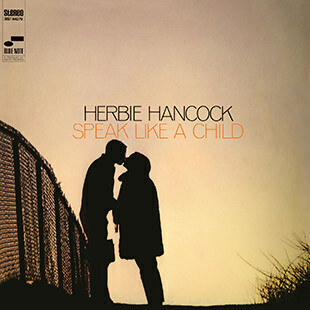 In Speak Like a Child Herbie sought to recapture the innocence and spontaneity of childhood in the midst of the social turmoil of the late 1960s which he acknowledged with the opening track Riot. 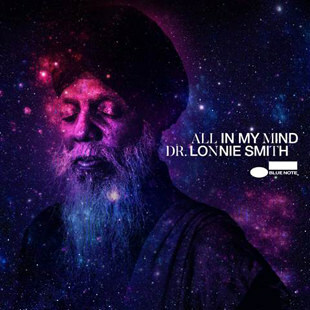 Hammond B-3 organ legend Dr. Lonnie Smith is still at the top of his game on All in My Mind, a spirited live trio album recorded during his 75th birthday celebration at the Jazz Standard in NYC. Hear the NEA Jazz Master put his spin on tunes by Wayne Shorter, Freddie Hubbard, and Paul Simon with guitarist Jonathan Kreisberg and drummer Johnathan Blake. 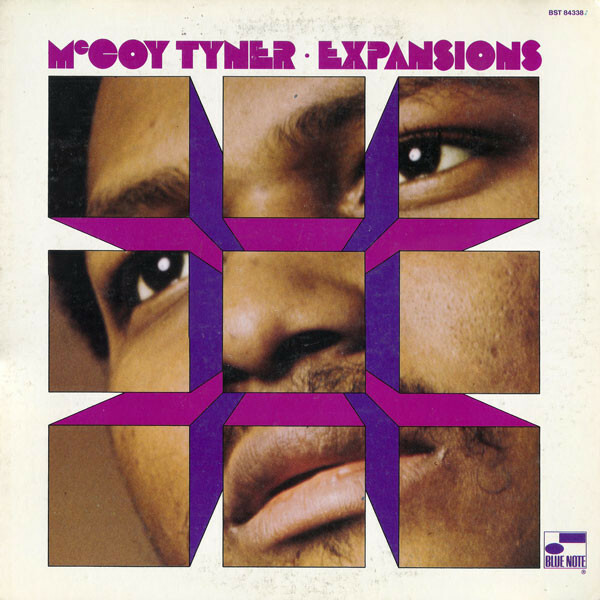 The album finds Doc back home on Blue Note Records where he first made his name in the late 1960s. Hear his greatest Blue Note tracks on our spotlight playlist Dr. Lonnie Smith: The Finest. The trio is currently on tour, see where they’ll be at drlonniesmith.com. Different sonic worlds have always collided in the sound of GoGo Penguin. The UK trio’s vivid new album A Humdrum Star conjures richly atmospheric music that draws from their shared love of electronica, their grounding in classical conservatoires & jazz ensembles alongside indie bands. Over the past few years, it has earned them rapturous responses all over the world and proved that they’re just as at home playing to muddy festival goers as jazz fans. The band is currently on tour in Europe and will come to the U.S. for a run of dates in May. See where they’ll be at gogopenguin.co.uk. Received via email . You could subscribe here.